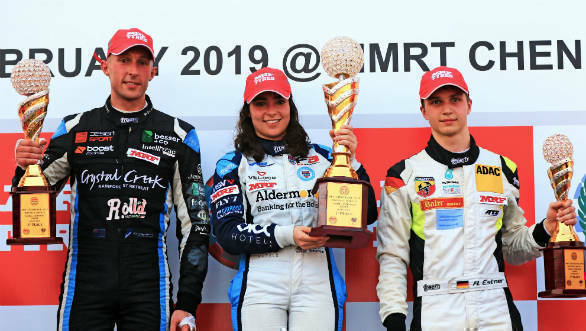 In the first day of racing for the third and final round of the 2019 MRF Challenge, Jamie Chadwick put in strong performances to inch ahead in the championship battle. Chadwick, from the UK, is one of two female drivers on the grid and is now one point clear of Max Defourny after the two races held today. In the first race, Patrick Pasma used his pole position to good effect, winning the race comfortably after a few early skirmishes. He was followed by Michelangelo Amendola in second while 16-year old Jack Doohan (Australia), the son of former five-time World 500cc champion Mick Doohan, impressed with a third place finish. Defourny, who hasn't been able to find his rhythm just yet this weekend, finished seventh, Chadwick gained one position to finish fifth in this race. A reverse grid start put Chadwick in second place for the start of Race 2. She quickly went past Dylan Young to take the lead and in the next 20 laps built up a sizeable gap to the chasing pack. Eventually scoring her fourth win for the season. Young was next best, almost a whole second behind Chadwick, while German Andreas Estner took the third spot. Chadwick now has 218 points for the MRF Challenge 2019 title. She's followed by Max Defourny at 217 and Andreas Estner at 151. 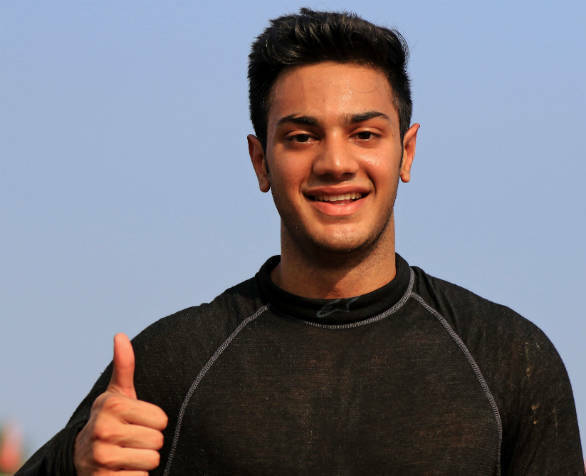 In the other races supporting this event, Ashwin Datta stood out in the Formula LGB category with a win in Race 2, which he started in 11th place. Tijil Rao won the first race. 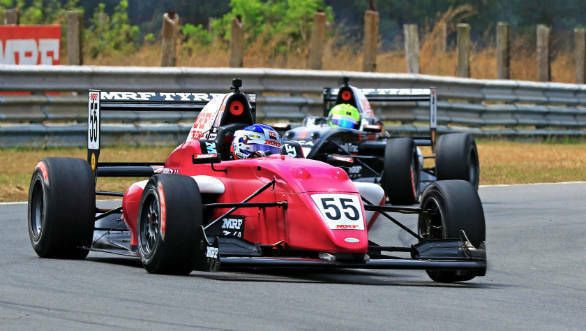 Nayan Chatterjee won the sole F1600 race this weekend. Rithvik Thomas won the saloon category race, making it a podium lockout for the Race Concepts team.